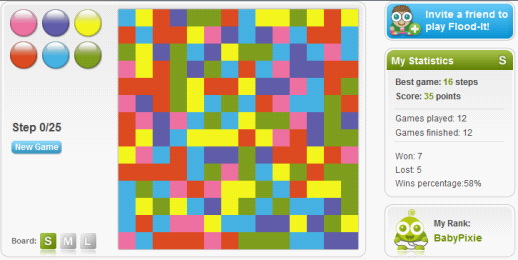 Given a colored board at very beginning, please find the minimal number of steps to win the game (to change all the grids into a same color). The input contains no more than 20 test cases. For each test case, the first line contains a single integer N (2<=N<=8) indicating the size of game board. The following N lines show an N×N matrix (ai,j)n×n representing the game board. ai,j is in the range of 0 to 5 representing the color of the corresponding grid. The input ends with N = 0. For each test case, output a single integer representing the minimal number of steps to win the game.